General Mills is a large manufacturer of cereals in the United States, with products such as Cheerios, Cinnamon Toast Crunch, Cocoa Puffs, Cookie Crisp, Lucky Charms or Reese’s Puffs. To differentiate itself from the competition, it has reached an agreement with Rube Goldberg Inc., an NGO aimed at promoting innovation among children. The result of this collaboration has been the production of cereal boxes that can be transformed into incredible machines. The traditional rectangular boxes have precise indications to be easily converted into creative engineering works. 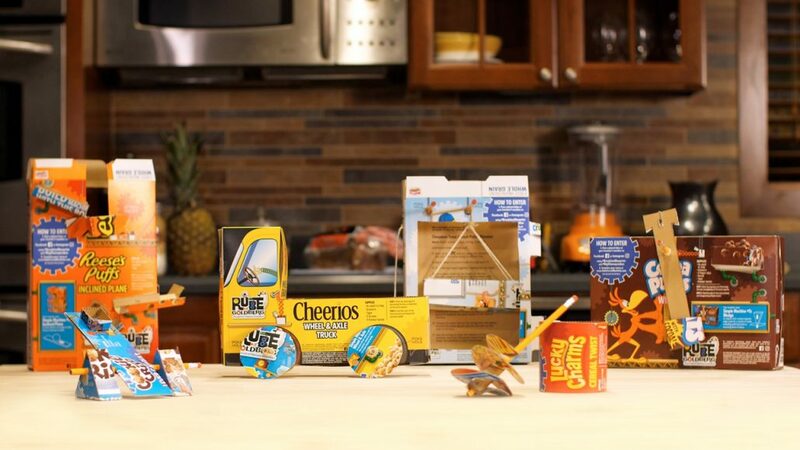 In addition, the manufacturer of cereals has rounded off the proposal by offering scholarships to reward children who send new and better proposals for machines made from boxes.